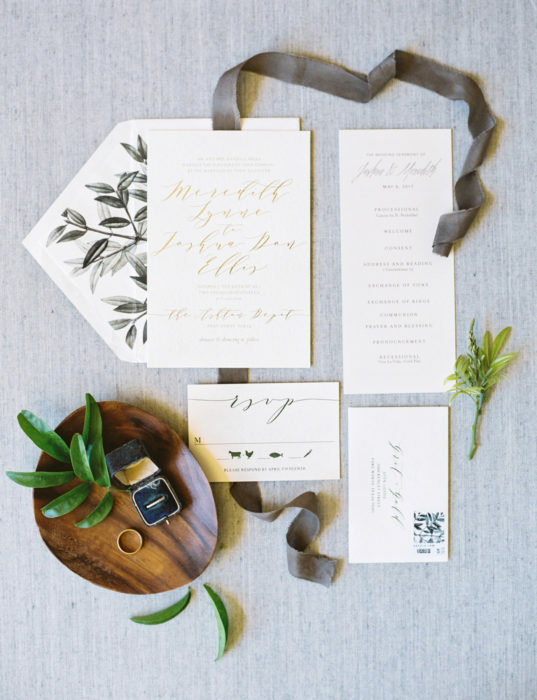 Interior designer Meredith Mills is detail oriented by trade so it was natural that she’d apply those on-the-job skills for her May wedding to Joshua Ellis. As the day arrived, checklists kicked into high gear. 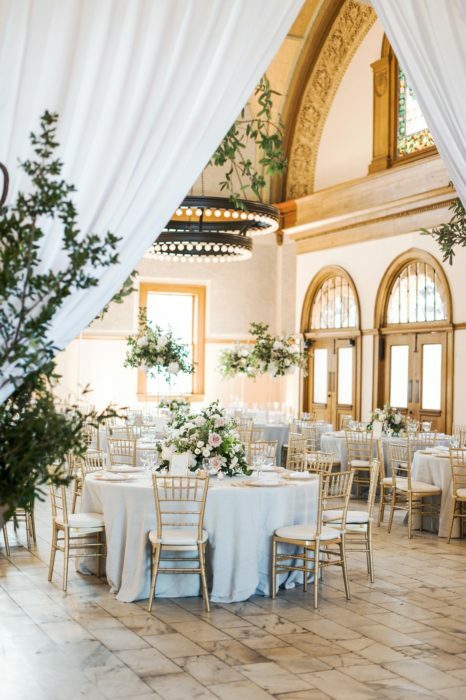 The venue was done: Beautifully restored The Ashton Depot in Fort Worth made for a dazzling space. The weather was perfect: A gorgeous spring day meant no need for the indoor plan. Everything was coming together just as she dreamed—and better. 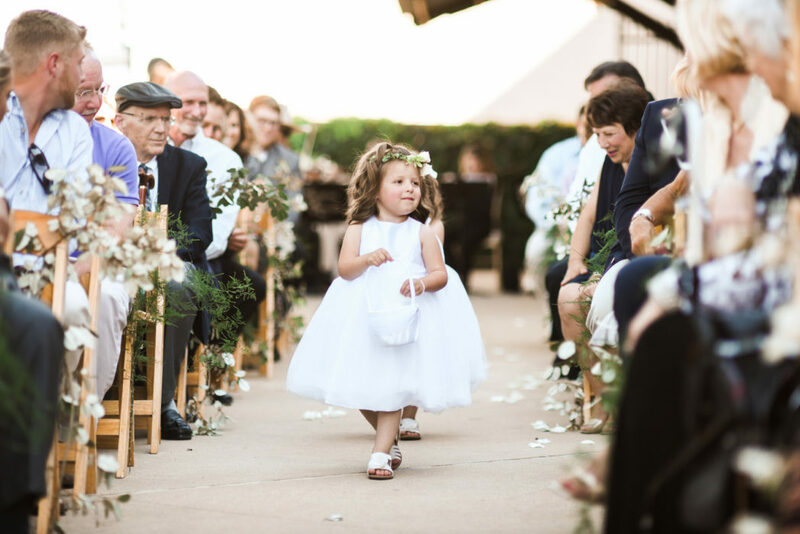 “There was a train that went through during our ceremony, but it was still as charming as ever,” she recalls. 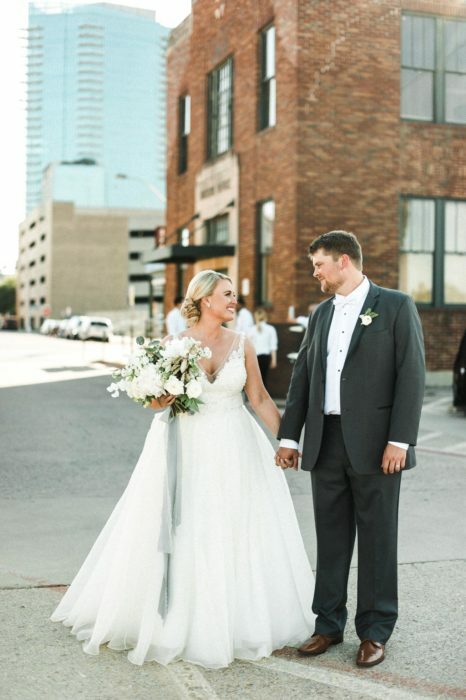 Their relationship got on track in Waco, when Meredith went to Baylor and Josh studied at Texas State Technical College. When Josh and his roommates complained about noise coming from the apartment above, Meredith made brownies to make up for it. After three years of dating, Josh popped the question on a romantic trip to Northern California, where her parents then lived. 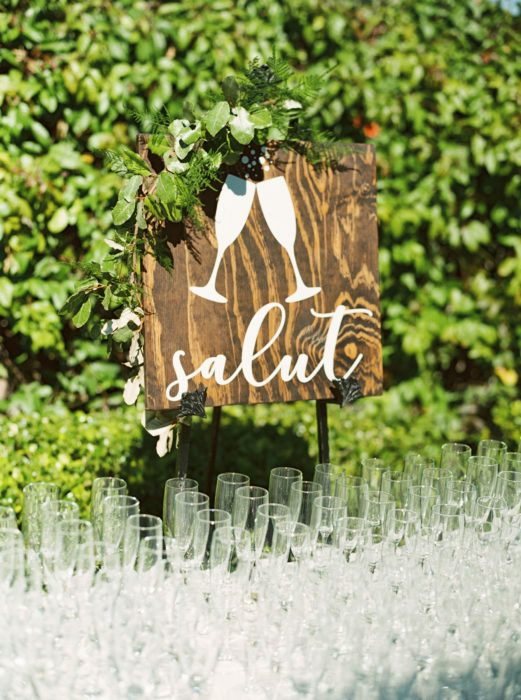 “I thought I was planning a fun birthday event for him at our favorite vineyard, Wente Vineyards. He and my mom had planned it all out. When we got to the wine cave, he turned the tables on me and proposed. It was absolutely perfect,” she says. Surprises didn’t end on engagement day—they continued on May 6, 2017. 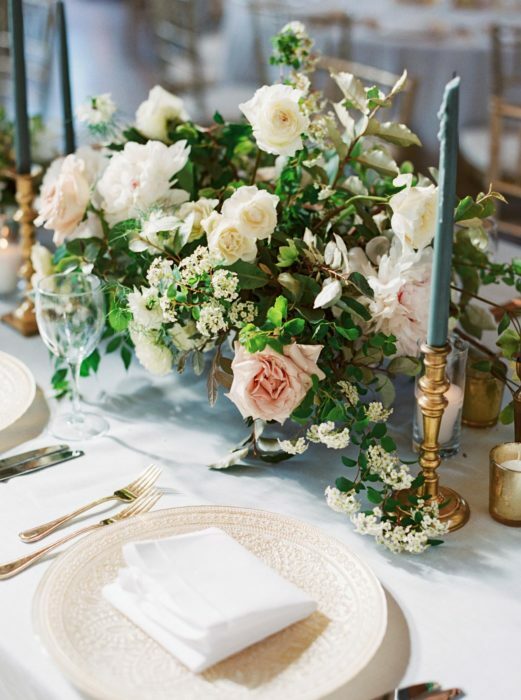 “The whole day was the most perfect dream I could have ever imagined,” says Meredith, who worked with wedding planner Lottie Fowler of Grit + Gold. “I’ll never forget the moment I walked through the doors of the venue and it just hit me. 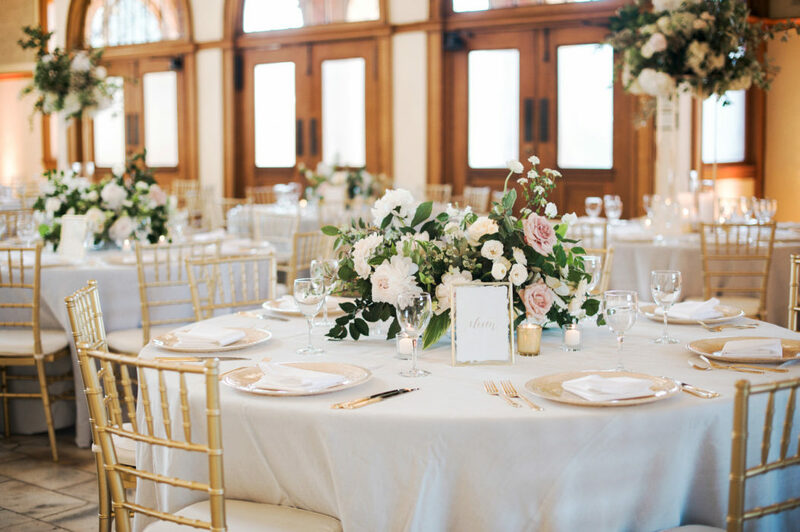 It was the most spectacular sight.” The Beaux Arts ballroom was awash in signature soft, organic arrangements by The Southern Table. 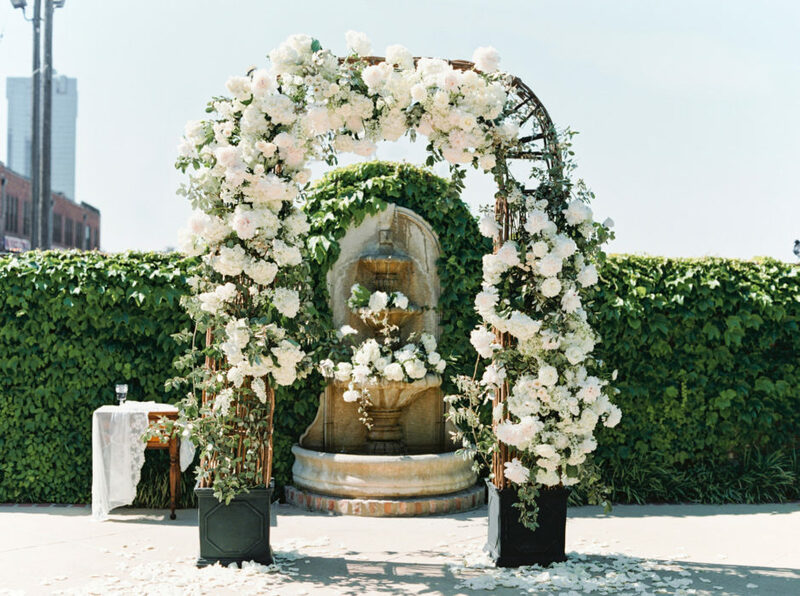 Flowers and greens also bedecked the staircase and the outdoor ceremony. 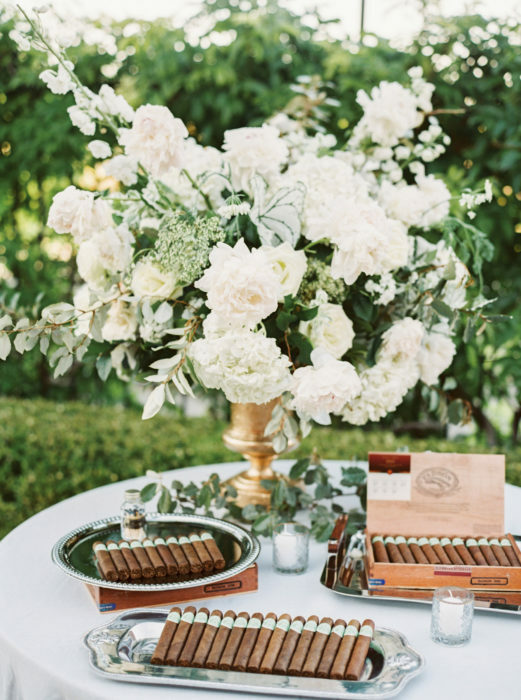 “The vision was to bring a little California Napa–Tuscan look to Texas. 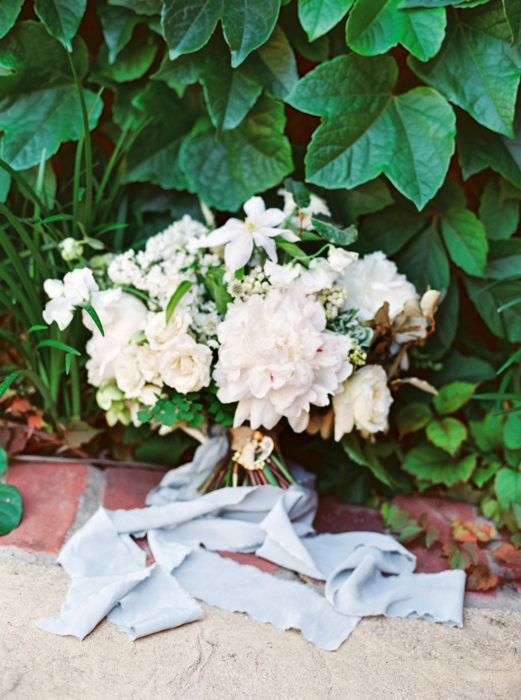 I really wanted the flowers to make a huge statement,” the bride says. 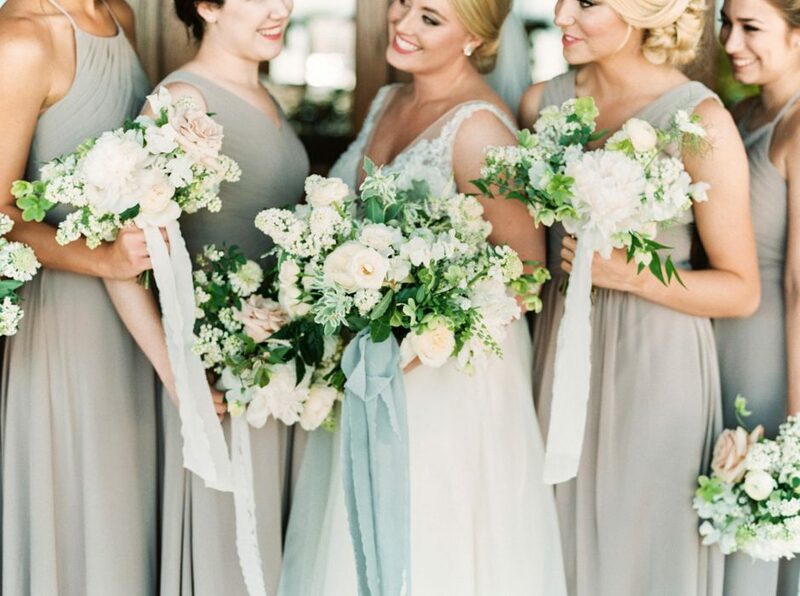 Bridesmaids and flower girls’ dresses were neutral to emphasize the sylvan vibe. 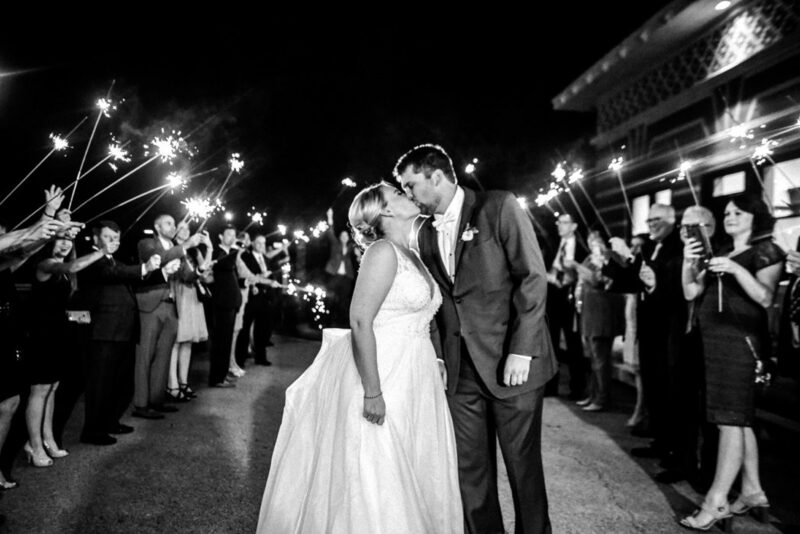 Meredith wore a sleeveless lace gown by Watters with a deep V-neck and a voluminous skirt. 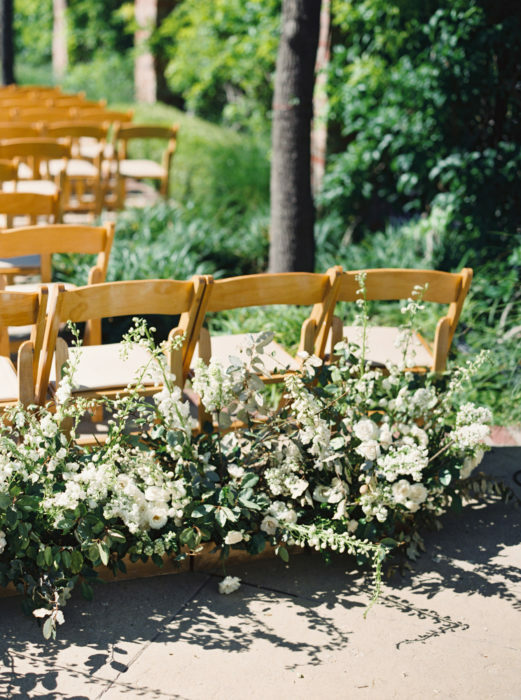 To her surprise (again), the groom teared up. The couple had decided against a first look, so Josh got his first peek at his beautiful bride along with the guests. “He doesn’t show his emotion as much as I do, but he was standing down there crying like a baby,” Meredith says. The bride had her crying moment earlier, when the couple exchanged their gifts. Josh, a designer for Oncor, had given her sapphire earrings, her birthstone, symbolizing loyalty and trust. “We had to do a little touch-up on the makeup,” she explains. 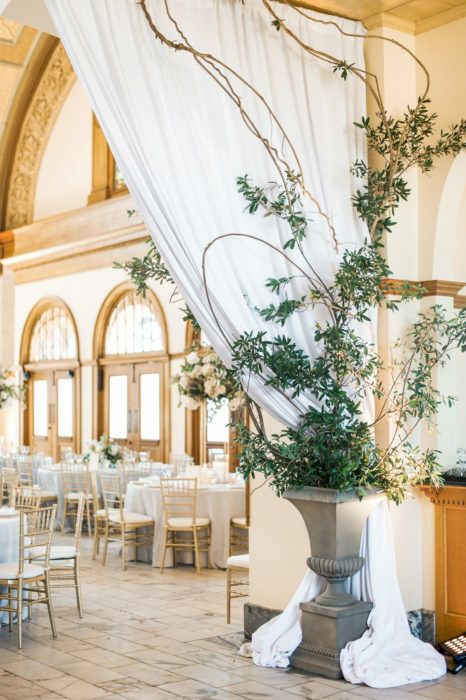 "The vision was to bring a little California Napa–Tuscan look to Texas."